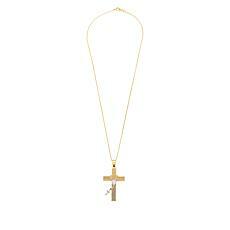 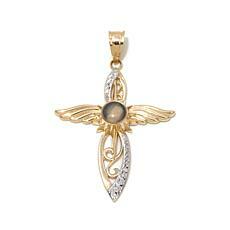 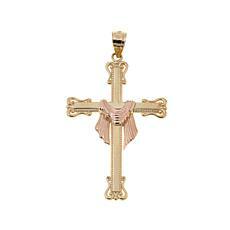 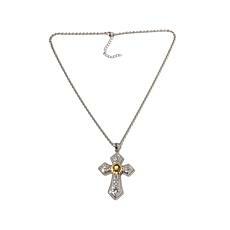 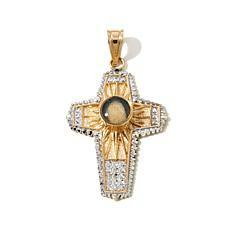 This unusual two-tone rosary cross pendant features an oval "Christogram" at its center. 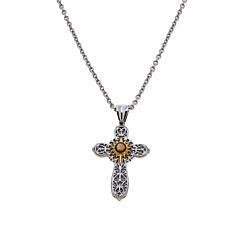 Known in religious circles as the "monogram of Christ," the letters are an abbreviation for the Latin name of Jesus Christ. 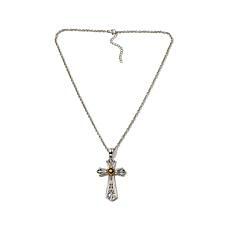 Comes with a delicate cable chain necklace so it's ready to wear right out of the box.